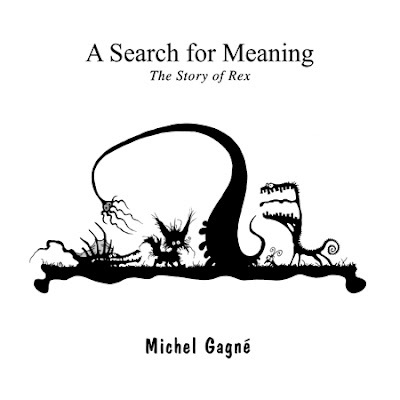 In 1997, I wrote and illustrated my first storybook, A Search for Meaning: The Story of Rex. In July 1998, I took the plunge and self-published the book as a signed and number limited edition hardcover (1000 copies printed). In the book, a little fox named Rex goes through a series of strange landscapes, meeting weird and unusual creatures in his search for enlightment. The story is somewhat autobiographical and reflected my own spiritual quest at the time. 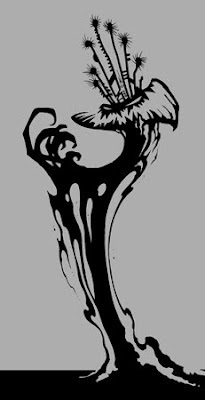 I used several black silhouette ink drawings within its pages, as well as on the cover (although, the current edition of the book uses a different, more colorful cover). 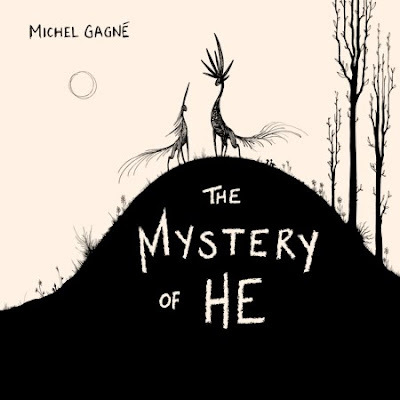 The following two years, I wrote, illustrated and published three more books in the same format: The Mystery of He, The Great Shadow Migration and The Bird, The Spider and the Octopus. Each one explored more of my strange concepts and philosophy. These first four books in my bibliography all used shadow puppet imagery to various degree to convey rhythm, mood and ideas. These limited edition books were a big hit at the San Diego Comic-Con and quickly sold out. 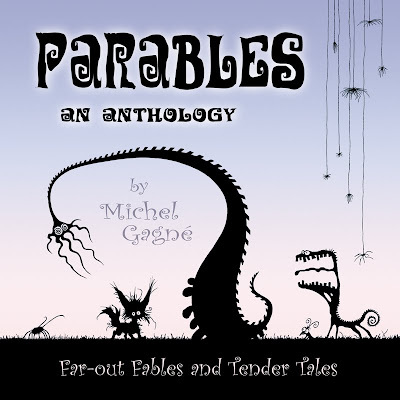 In 2004, I digitally remastered all the artwork and repackaged all four books into a 126-page anthology called Parables, again using a silhouette illustration as the cover. These works were the launch of my publishing career and they really helped defined my illustrative style. I still have a soft spot for them.